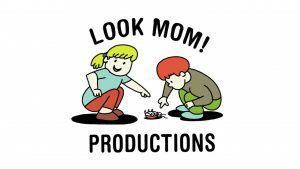 Look Mom Productions! (LMP!) is hiring Harmony 2D Animation Supervisors for its slate of adult animated comedies. As a Harmony animation supervisor you will be responsible for overseeing a team of 5 to 7 mid level and junior animators at our Toronto studio. You will distribute and review scenes, give feedback and revisions to ensure that your team’s animation integrates seamlessly into the overall series style. Harmony 2D Animation Supervisors will work directly with the series directors and help to steer the production. Team supervisors bear the ultimate responsibility for their team, producing animation that is up to par with expectations and meeting all production deadlines. While this is a mainly supervisory position LMP! Is looking for supervisors who are willing to get their hands dirty plussing scenes as well as acting as coach and motivator for their team. What we look for in a Harmony 2D Animation Supervisor. You have previous experience leading a team on an animated project. Or are a senior animator with 3 + years of in studio experience who is looking to move into a leadership role. You are a self driven, detail oriented individual who doesn’t shy away from problem solving. You have a strong grasp of animation principles and are able to communicate about them clearly. Have a strong working knowledge of the Toon Boom Harmony animation software and workflow. Additional skills that would be extremely valuable in Harmony 2D Animation Supervisor. Proficiency in Adobe Photoshop and Illustrator. Working Knowledge of Toon Boom Storyboard. Strong traditional drawing and illustration skills. Experience or knowledge of storyboarding techniques, visual storytelling and direction. This entry was posted on Monday, March 25th, 2019 at 10:08 am	and is filed under Jobs. You can follow any responses to this entry through the RSS 2.0 feed.